2016-02-21: The floor of my garage is made of rather rough concrete. It’s not level, to make assure that any water will flow out. 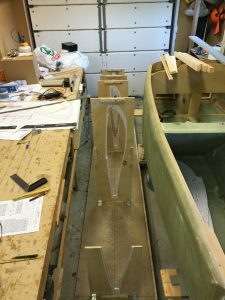 To make a good and flat base for the wing jigs I decided to use some 22mm thick particle boards (floor boards) ontop of a couple of 2″ x 4″. 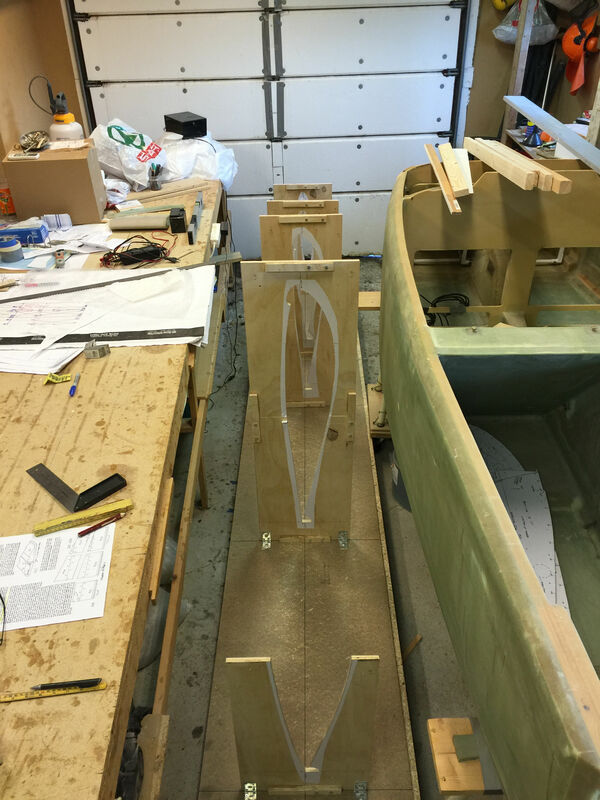 Instead of using Bondo to fasten the jigs, I use angles that I can screw and unscrew onto the floor boards. 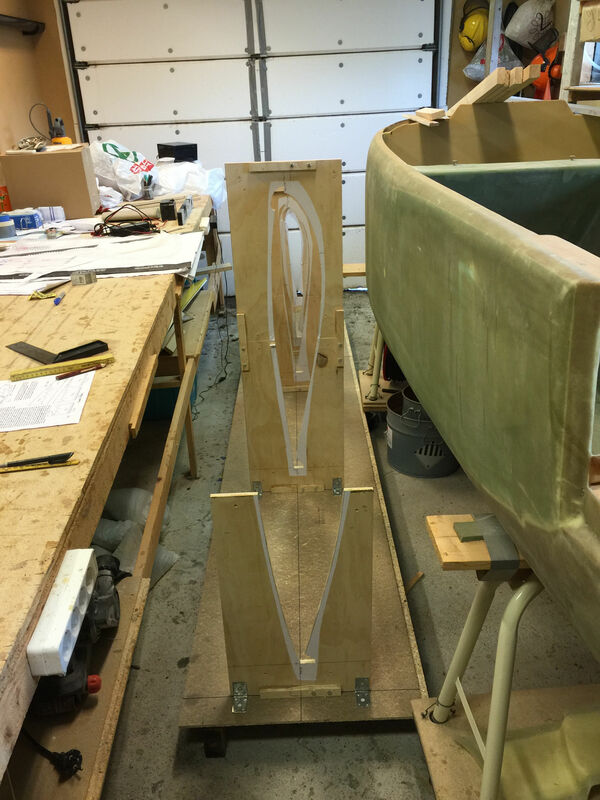 2016-02-21: A higher view of the jigs.